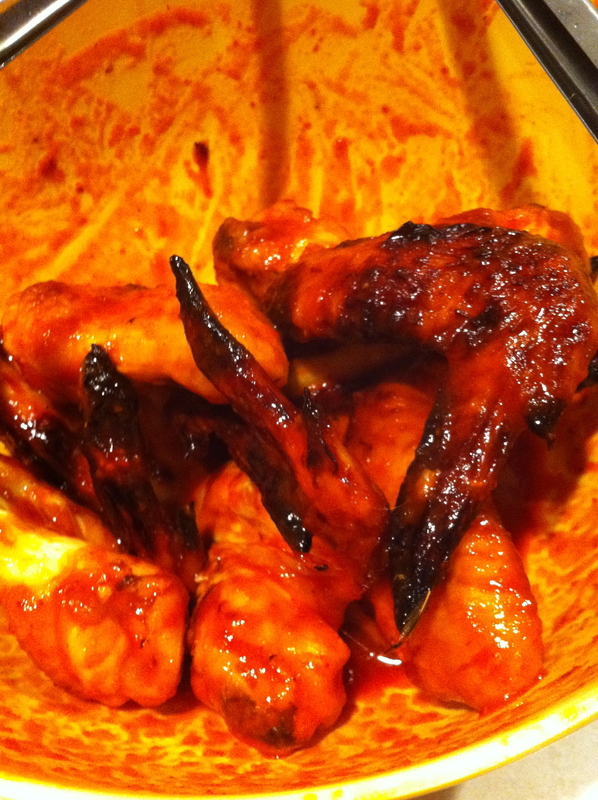 I started with Martha’s Stewart’s recipe for sweet and spicy chicken wings and made some changes to make it my own. Arrange the wings in a single layer on a foil lined cookie sheet. Turn your broiler to high and place the cookie sheet in the middle of the oven. Let the wings cook for 10 minutes before flipping them. You may need to flip the wings a couple of times to avoid burning. While the chicken is cooking, combine the remaining ingredients in a large bowl. When the chicken is cooked through, approximately 20 minutes, take them out of the oven and put them directly in the sauce. Toss to coat and serve. You can deep fry the wings instead of broiling, but the cook time will vary. Try these at you next party… they are delicious! I am such a wing person, so when I find a new wing recipe I get excited. These feisty wings look great! I will definitely try these out. Wonderful post.